In 1991 the Soviet Empire and all its structures fell apart, giving rise to new possibilites that no one would never before have thought conceivable. Osho's cameraman, Berlin film maker and producer Niskriya, recognized the favour of the hour and produced in endless nightshifts , despite much resistance, a comprehensive documentary in three parts about Osho and his ashram for Russian television. The outcome was a masterpiece documentary that does not leave any questions unanswered. Never before was Osho portrayed in such a sensitive and comprehensive way. All three parts were broadcast by the largest Soviet TV-station on three sequential evenings at prime time 9 pm. This did not happen on any ordinary evening but during the Christmas holidays, 24th, 25th and 26th December 1991. Many still believe that that was sheer magic. On this third transmission day, 26th December 1991, Gorbachev resigned from all his posts; Boris Yeltsin came into power, the Soviet Union disintegrated into its partial states and a new epoch of world history began. 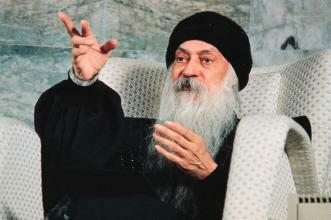 The film was broadcast nevertheless but Osho’s message did not reach Gorbachev in time. These films were seen by 70 million Russians and were a huge success. Throughout these three broadcasting days, Niskriya started interviewing people on the depressing grey streets of Leningrad: every taxi driver or shop keeper suddenly knew Osho. After this film an enormous Sannyas movement grew in Russia and the first Russians appeared in Osho's ashram. This recently produced English version in two parts is based on the original Russian film but has been newly cut and edited especially for a western audience. With good intentions, Gorbachev is going in a wrong direction, suicidal. Opening the doors of Russia is beautiful. Open the doors for science, open the doors for art, open the doors for meditation. But that does not mean that you have to open the doors to all kinds of diseases. 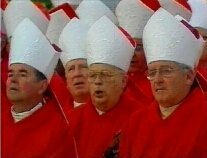 Christianity is a disease, and if you open the doors for the pope you are going against Karl Marx, you are going against communism. You don't understand the implications: these are the people who are the real agents of capitalism. They are against any revolution. I consider Christianity to be the most criminal religion in the world. It has not been helpful to humanity in finding the truth in any sense. It has been trying to propagate lies so continuously that they have almost become truth. And I would not like a poisonous snake, a cobra hiding inside the pope, to enter the Soviet Union. In seventy years they have with great difficulty been erasing the programming of Christianity from the Soviet mind. Now the Soviet mind at least is free of Christianity, free of God, free of heaven, free of hell. This is perfectly good. Don't introduce all these things again. But one thing certainly the Soviet Union needs, which Christianity cannot provide. That can be provided only by Zen. It has nothing to do with hell, heaven, God and Jesus' miracles. It does not even talk about any of these things. It simply talks about the science, step by step, of how to enter your own inner world and see the life eternal.